Same Day, Nationwide Shipping Available. Contact us today for all of your Unistrut Metal Framing needs. Engineering and Design Assistance Available on any Unistrut Project. Contact the Unistrut professionals today! Looking for information on Unistrut Products? Click here to see our full range of product offerings from Unistrut Midwest. This section includes Unistrut Channels, Concrete Inserts, Trolleys, and more! Are you looking for information on Unique Unistrut Applications? Including Medical Equipment Supports, Unistrut Catwalks, Ceiling Grids, and Roofwalks, we have a solution for your project. Click here for more information on all of our Unistrut Solutions! 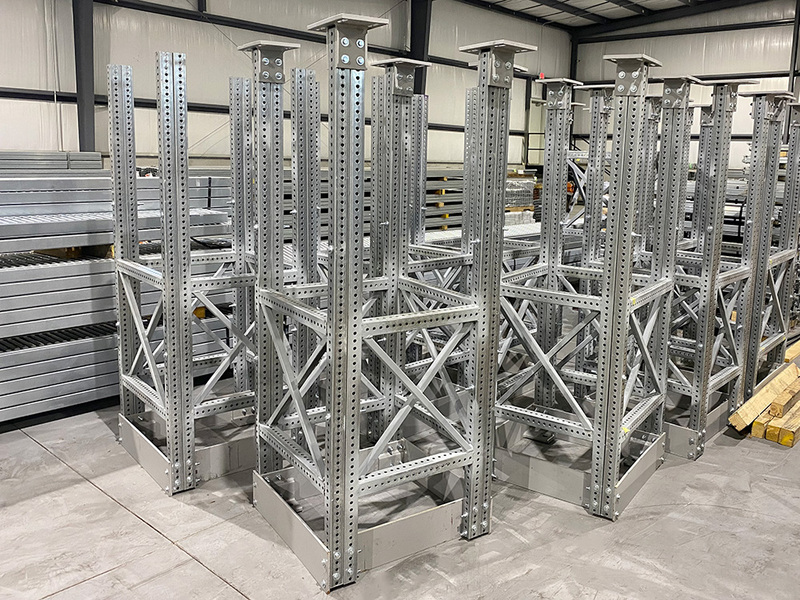 Installation, Pre-Fabrication, Engineering, Fabrication, and Design Assistance are just a few of the services Unistrut Midwest offers our clients. Click here for more information on Unistrut Midwest Services! Interested in specific solutions? We have what you need. Unistrut Midwest specializes in devoloping solutions for our customers projects. Below are some typical applications in which Unistrut Metal Framing is used for different types of supports or walkways. Unistrut is commonly used to support X-Ray Machines, CT Injectors, or Surgical Lights. Click here for more information on Unistrut Medical Equipment Supports! Unistrut Catwalk Systems offer a lightweight, modular solution over traditional welded steel structures. Click here for more information on Unistrut Catwalks! Unistrut Roofwalk Systems provide personnel with an OSHA approved walkway and protect your roof. Click here for more information on our rooftop walkway systems! Unistrut Ceiling Grids provide a universal support system for MEP services. Commonly found in data centers, universities, or retail applications; click here for more information! The Unistrut World of Support starts with our network of Unistrut Service Centers across the Midwest. Our service centers go far beyond providing local product inventories..by offering complete application solutions, based on experience gained from thousands of projects worldwide. It’s that kind of knowledgable assistance that can help save time and cost now, and simplify change in the future. Technical Help? No one knows the engineering side of Unistrut support systems like the Unistrut Midwest team. And if it’s special fabricating, cutting, or custom finishing you want, our professional staff will make it happen…quickly, efficiently, economically. With the largest on hand inventory of authentic Unistrut products in the nation, Unistrut Midwest has what you need to get the job done. We sell direct and ship nationwide, so contact us today for all your Unistrut needs!